Located in a Sunset Boulevard strip mall between buzzy spots like Trois Familia and Fat Dragon (oh, and a Domino’s Pizza and Baskin-Robbins), family-run Cuban restaurant El Cochinito just earned major bragging rights—and a comically large trophy. Over the first weekend in April, El Cochinito joined restaurants from all over the world at the International Cuban Sandwich Festival in Ybor City, Florida (fun fact: as of the 2010 census, 70 percent of Cuban Americans lived in Florida), and walked away with a first-place finish in the traditional Cuban sandwich category. Through a nomination process, El Cochinito was selected to represent the entire West Coast. In other news, a Cuban sandwich sounds very good right now. RELATED: In Search of the Cubano, From Havana to Tampa to L.A. 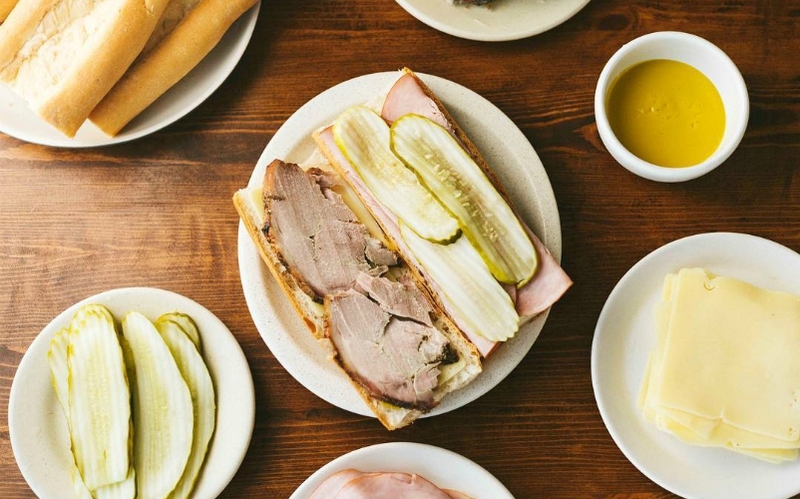 In Search of the Cubano, from Havana to Tampa to L.A.